Employed by ACSC since 1999, Tony specializes in safes as well as general shop work such as rekeys, key cutting, automotive, etc. He has managed the shop since the summer of 2010. Tony has focused his training on safes. In addition to shop manager, he heads up our safe division overseeing everything from purchasing and selling to delivering, moving, opening and maintaining our customers' safes. Michelle found us in 2001 looking for part time employment while finishing school. With no prior knowledge of locksmithing, she started as an office assistant. Over the years, she has worked her way up to office manager. Some of her many duties include Accounts Receivable, Billing, Collections and Trilogy/Alarmlock programming. While she is not a trained locksmith, her day-to-day duties require her to have a basic knowledge of locksmithing. Everything she has learned about the industry is knowledge she has acquired while under the wing of ACSC. Susan came to ACSC with a strong background in customer service. 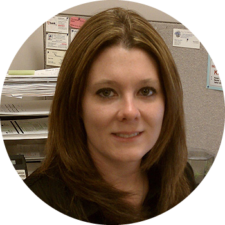 She joined our team in 2004 as a part-time assistant but her common sense approach to budgets and finance became apparent immediately. 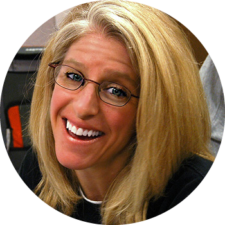 Susan took over the accounts payable department and is largely responsible for our continually high credit rating. In her unique and fair approach to HR, she balances the needs of the employees with those of the business. Common sense approach to budgets and finance. Balances the needs of employees with those of the business. Steven's been with ACSC since April 2011. He has a strong foundation in locksmithing. Steven has worked his entire career in the Denver area. He even had a short stint with one of our main suppliers, giving him a leg up on product knowledge. Steven is married with two "children," Mickey and Lady—both Rat Terriers. He enjoys working out, computer games and gluten-free food. Mickey started with us in April 2013. She brings a strong customer service background and will likely be the first person you speak with when you call. Mickey is our primary dispatcher, answering phones, scheduling calls and dispatching our field technicians. Mickey has lived in Colorado her entire life, enjoys scrapbooking and is a crazy Disney collector (name check). Steve was born and raised in New Jersey. He began locksmithing with his grandfather at a young age and became grandfathered into the trade. Steve specializes in high security and commercial mechanical hardware. Steve moved to Colorado for his love of the outdoors. Camping and shooting are two of his favorite activities. 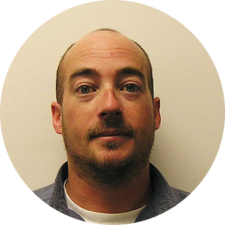 Adam is a Denver Native and joined ACSC in 2003. He left in 2007 to pursue his education and other interests but returned in 2014 to the work that spoke to him. Adam specializes in welding, access control, digital locks and cameras. He takes a great deal of pride in seeing a project through from inception to completion. Adam is a true craftsman. In his spare time, Adam enjoys the mountains, practical and competitive target shooting, coaching boys'/men's lacrosse and attending any kind of motorsports event. One day he hopes to participate in the Pike's Peak Hill Climb.